In this research field, we develop organic/inorganichybrid molecules, polymers, and complexes and nanocomposite materials on the basis of synthetic organic chemistry by positively introducing processes of polymer synthesis and inorganic synthesis. Recently, researchers in various fields including not only materials and chemistry but also machinery, electricity and electronics treat a variety of nanocomposite materials in an overlapping manner. However, in order to develop an innovative organic material in a broad sense, chemists who are very much aware of the basis that chemical reactions and chemical interactions are to be truly understood and controlled are required. In our research field, aiming at developing innovative organic/inorganic nanocomposite materials by an environment-conscious process, we develop original functional molecules and materials based on the research for a basic electron transfer process at the truly molecular level which involves controlling chemical reactions and interactions including complex formation at the interface between an organic substance and an inorganic substance. These take into account not only control of a functional molecular structure but also control at the molecular level of a hierarchical structure resulting from complex formation by electron transfer. 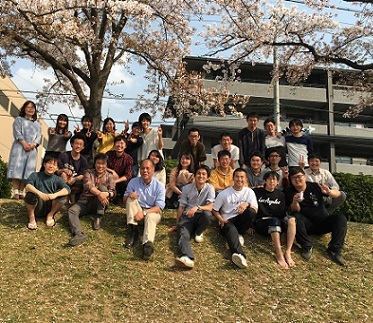 In 2019, 5 fourth-year undergraduate students, 13 master's degree students, and 3 PhD student belong to laboratory. Logical thinking learned from the texts is important in conducting a research. However, conducting a research is exploring a place no one has ever been and we sometimes encounter situations which seem to be unsuccessful and cannot be solved by logical thinking. One is distressed when no answer can be found, but this is a chance that may lead to highly creative research and material development. If one adopts ways of thinking and techniques in various fields without sticking to the fields such as organic chemistry and inorganic chemistry, then struggles and overcomes a barrier, the world no one has ever seen will extend beyond the barrier. This is the appeal of researches. he/she will be trained so as to be enabled to write a paper. We believe that an environmental consciousness on a global basis is also important for the sake of safety in the laboratory. Today’s highly advanced technology needs widespread view for development of technology and material. However, such vast knowledge and ability cannot be obtained easily; enduring effort to recognize essential nature of phenomena is necessary. Deep investigation of occasion in daily experiment and remark of literature can lead us to our own academic system. And then, we do not have to research lonely, but to collaborate with many people. It is preferable to cherish the wide circle of people and to enjoy research life. Mar. 26 2019 Mr. Satoshi Wada's article has been accepted for publication in Eur. J. Inorg. Chem. Mar. 13 2019 Mr. Ryosuke Fujii's article has been accepted for publication in Eur. J. Org. Chem. Mar. 8 2019 Mr. Ryoichi Katoh's article has been accepted for publication in Polym. Chem. Feb. 22 2019 Mr. Satoshi Wada's article has been accepted for publication in Bull. Chem. Soc. Jpn. Oct. 14 2018 Ms. Yuri Sato and Mr. Sota Yuasa's article has been accepted for publication in Bull. Chem. Soc. Jpn. Sep. 11 2018 Mr. Toshiki Fujii's article has been accepted for publication in Org. Lett. Sep. 10 2018 Our review "The Dawn of Functional Organoarsenic Chemistry" has been accepted for publication in Chem. -Eur. J.
Aug. 27 2018 The article on the work of Ms. Chieko Yamazawa with Prof. S. Hayashi (National Defense Academy of Japan) has been accepted for publication inChemElectroChem. Jun. 25 2018 Mr. Ryoich Katoh's article has been accepted for publication in Polym. Chem. Jun. 17 2018 Mr. Satoshi Morimoto's article has been accepted for publication in Bull. Chem. Soc. Jpn. May 16 2018 Mr. Shunichi Fujii's article has been accepted for publication in ACS Macro Lett. May 2 2018 Ms. Aya Urushizaki's article has been accepted for publication in Chem. -Eur. J.
Apr. 26 2018 Ms. Chieko Yamazawa's article has been accepted for publication in Chem. Lett. Apr. 11 2018 Mr. Sota Yuasa's article has been accepted for publication in Polym. J.
Dec. 22 2017 Mr. Ryosuke Fujii's article has been accepted for publication in Eur. J. Org. Chem. Dec. 17 2017 Mr. Shintaro Nishiyama's article has been accepted for publication in Bull. Chem. Soc. Jpn. Dec. 12 2017 The article on the work of Mr. Ryoichi Kato with Prof. Yusa (Univ. of Hyogo) has been accepted for publication in Polym. J.
Nov. 12 2017 We won the vice-champion in Baseball Tournament of Chemistry and Materials Technology. Nov. 9 2017 Ms. Yuri Sato and Mr. Sota Yuasa's article has been accepted for publication in J. Appl. Polym. Sci. Oct. 24 2017 Our progress has been published in the book "Main Group Strategies for Functional Hybrid Materials" (Baumgartner, T.; Jaekle, F., Edt. Wiley). Jul. 24 2017 Mr. Satoshi Morimoto's article has been accepted for publication in Chem. Commun. Jun. 21 2017 Mr. Hiroshi Sasaki's article has been accepted for publication in Organometallics. Jun. 14 2017 Mr. Ikuo Kawashima's article has been accepted for publication in J. Mater. Chem. C.
Jun. 9 2017 Mr. Susumu Tanaka won Oral Award in ISUMS 2017. May 30 2017 Dr. Hiroaki Imoto won Award for Encouragement of Research in Polymer Science. May 25 2017 Mr. Shintaro Nishiyama's article has been accepted for publication in Dalton Trans. Apr. 20 2017 Mr. Susumu Tanaka's article has been accepted for publication in Organometallics. Apr. 11 2017 Mr. Takuji Kato, Mr. Koushi Abe and Mr. Makoto Ishidoshiro's article has been accepted for publication in Heterocycles. Apr. 6 2017 Mr. Satoshi Wada's article has been accepted for publication in Dalton Trans. Mar. 8 2017 Ms. Chieko Yamazawa's article has been accepted for publication in Chem. Lett. Mar. 6 2017 Mr. Susumu Tanaka won Excellent Poster Award+ in Master Thesis Poster Presentation of New Polymeric Materials Based on Element-Blocks. Jan. 10 2017 A review on hybrid material was posted in J. Network Polym., Japan. Dec. 3 2016 Dr. Hiroaki Imoto won Young Sientist Poster Award in IPC2016. Dec. 3 2016 Dr. Yasuyuki Irie and Ms Lina Li's article has been accepted for publication in RSC Adv. Nov. 21 2016 Our recent paper in Angew. Chem. Int. Ed. has been selected as "Hot paper". Nov. 6 2016 We won the championship in Baseball Tournament of Chemistry and Materials Technology. Nov. 1 2016 Mr. Susumu Tanaka's article has been accepted for publication in Organometallics. Oct. 31 2016 Dr. Yasuyuki Irie and Mr. Sota Yuasa's article has been accepted for publication in J. Polym. Sci., Part A: Polym. Chem. Oct. 4 2016 The article on the work with Prof. Tomita and Prof. Inagi (Tokyo Inst. Tech) and Prof. K. Tanaka (Kyoto Univ.) has been accepted for publication in Angew. Chem. Int. Ed. Sep. 15 2016 Dr. Kimihiro Matsukawa won Mitsubishi Chemical Award 2016 in the SPSJ. Aug. 9 2016 Mr. Susumu Tanaka won the poster award in the Conference on Photochemistry of Coordination Compounds. Aug. 3 2016 Mr. Satoshi Wada's article has been accepted for publication in Chem. Lett. Jul. 15 2016 Ms. Yuka Nakao's article has been accepted for publication in RSC Adv. Jun. 16 2016 Ms. Sakina Miyauchi's article has been accepted for publication in Polym. J.
Jun. 16 2016 Mr. Makoto Ishidoshiro's article has been accepted for publication in Bull. Chem. Soc. Jpn. Jun. 9 2016 Dr. Takuji Kato's article has been accepted for publication in Dalton Trans. Jun. 7 2016 Our recent paper, “Experimental Study on Arsoles; Structural Variation, Optical and Electronic Properties, and Emission Behavior”in Dalton Transactions has been selected as Front Cover. May. 25 2016 Dr. Kimihiro Matsukawa won JIEP Excellent Paper Award. May. 10 2016 Our recent paper, “A Practical Method for the Generation of Organoarsenic Nucleophiles towards the Construction of a Versatile Arsenic Library” in Dalton Transactions has been selected as Front Cover. Apr. 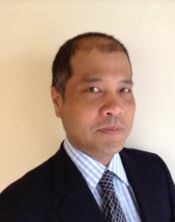 1 2016 Dr. Kimihiro Matsukawa joined our member. Apr. 1 2016 Mr. Makoto Ishidoshiro's article has been accepted for publication in Dalton Trans. Mar. 11 2016 Mr. Susumu Tanaka's article has been accepted for publication in Dalton Trans. Jan. 12 2016 Mr. Yasuyuki Irie and Mr. Takahiro Yamanaka's article has been accepted for publication in RSC Adv. Jan. 8 2016 Mr. Susumu Tanaka's article has been accepted for publication in Organometallics. Nov. 23 2015 Our article entitled “Color Tuning of the Aggregation-Induced Emission of Maleimide Dyes by Molecular Design and Morphology Control”(Chem. Eur. J. DOI: 10.1002/chem.201501519) has been highlighted by "Cutting-Edge Chemistry", a report weekly published electronically by the American Chemical Society (ACS). Oct. 21 2015 Our recent paper, “para-Bisvinylhexaisobutyl-Substituted T8 Caged Monomer: Synthesis and Hydrosilylation Polymerization”, has been accepted for publication in Polym. Chem. and selected as Inside Front Cover. Jul. 14 2015 Our recent paper, “As-Stereogenic C2-Symmetric Organoarsines: Synthesis and Enantioselective Self-Assembly into Dinuclear Triple-Stranded Helicate with Copper Iodide”, has been selected as a Dalton Transactions Hot Article and Front Cover. Jun. 8 2015 Mr. Hiroki Adachi’s article has been accepted for publication in Dalton Trans. May. 19 2015 Mr. Kohei Kizaki’s article has been accepted for publication in Chem.-Eur. J. May. 1 2015 Mr. Yasuyuki Irie’s article has been selected as Spotlight Article in J. Polym. Sci., Part A: Polym. Chem. Apr. 17 2015 Ms. Yuka Nakao’s article has been accepted for publication in Polym. J.
Apr. 1 2015 New students joined the laboratory to start their research. Feb. 13 2015 Mr. Yasuyuki Irie’s article has been accepted for publication in J. Polym. Sci., Part A: Polym. Chem. Jan. 23 2015 Ms. Shiho Nakamura’s article has been accepted for publication in Langnuir. Jan. 6 2015 Mr. Takashi Nishio’s article has been accepted for publication in J. Cryst. Growth. Dec. 6 2014 Mr. Kohei Kizaki’s article has been accepted for publication in Tetrahedron. Jul. 17 2014 Mr. Hikaru Unesaki’s article has been accepted for publication in Inorganic Chemistry. Jul. 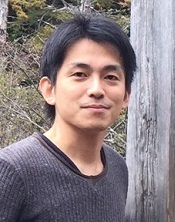 1 2014 Dr. Hiroaki Imoto has joined the laboratory as Assistant Professor. Jun. 9 2014 Mr. Takayuki Maegawa’s article has been accepted for publication in Chem. Lett. Apr. 1 2014 New students joined the laboratory to start their research. Dec. 6 2013 Ms. Shiho Nakamura’s article has been accepted for publication in Langnuir. Apr. 1 2013 New students joined the laboratory to start their research. Dec. 1 2012 Our web site has been renewed. Mar. 21 2012 Mr. Takuji Kato’s article has been accepted for publication in Inorganic Chemistry. Apr. 2 2012 New students joined the laboratory to start their research. Nov. 1 2011 Ms. Aijo joined our group as a researcher. Jun. 25 2011 Mr. Hitoshi Arki’s article has been accepted for publication in Macromolecules. Apr. 4 2011 New students joined the laboratory to start their research. Oct. 13 2010 Ms. Belkada newly joined the laboratory as a research assistant. Apr. 28 2010 Ms. Yuka Tanaka’s article has been accepted for publication in Polymer Journal. Apr. 1 2010 New students joined our group to start their research. Oct. 13 2009 Ms. Yamada newly joined the laboratory as a research assistant. May. 18 2009 Seismic retrofitting was completed and we moved to the new laboratory. Apr. 11 2009 A freshmen welcome party was held. Oct. 18-19 2008 A sports camp was held with the Chujo laboratory of Kyoto University (at Makino Highland, Shiga). Aug. 21-22 2008 A laboratory trip was made to Mikuni Onsen, Fukui. Apr. 7 2008 Experiments were started in the laboratory. Feb. 29 2008 A ceremony for celebrating the opening of the laboratory was held with the students belonging to the laboratory. Dec. 12 2007 The laboratory opened the Japanese website. Nov. 1 2007 Applied complex materials chemistry laboratory was opened. Copyright(C) Naka Laboratory, 2012 All Rights Reserved.